Toby's life was perfectly normal... until it was unravelled by something as simple as a blood test. Taken from his family, Toby now lives in the Death House: an out-of-time existence far from the modern world, where he, and the others who live there, are studied by Matron and her team of nurses. They're looking for any sign of sickness. Any sign of their wards changing. Any sign that it's time to take them to the sanatorium. No one returns from the sanatorium. Withdrawn from his house-mates and living in his memories of the past, Toby spends his days fighting his fear. But then a new arrival in the house shatters the fragile peace, and everything changes. Because everybody dies. It's how you choose to live that counts. Normally I write reviews a few hours after finishing a book, a few days later at the most. This time it was different, I waited almost two weeks to write this review, I had to let my experience, settle in my mind and really think about what I wanted to say. I was left feeling conflicted, I really wanted to love it, yet at the same time I can't say that I didn't enjoy it. Let me start by saying that The Death House did not meet the expectations of what I thought I was getting. I was totally prepared for something a lot creepier, after all that cover just screams creepy! Despite the lack of creepiness, I was not disappointed, instead what I was faced with was the story of a group of children and teens dealing with love, loss and friendship while battling knowledge of their inevitably short futures. The story focuses on the relationships between the main characters, Toby and Clara with a few secondaries, namely Will and Louis, being the most memorable. The dynamics between the characters are well written and one can't help but feel for these kids as they struggle to make sense of their emotions and cope with their fears. 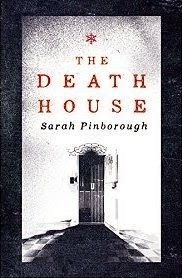 At first I was disappointed with the number of unanswered questions but as I took more time to process my feelings I feel it is better leaving them unanswered, creating a sense of mystery and providing a wonderful opportunity for discussion, making The Death House a great choice for book clubs. The Death House is a story of living life to the fullest, a tale of first loves and friendship, with an dark undercurrent of tension which leads to an emotional yet beautiful ending. This is one book I will not forget in a hurry. Thank you to Hachette Australia and Net Galley for the ARC. Hi! My name is Ceri, I live on the south coast of Western Australia. I work as a bookseller in a local bookstore, so naturally I love reading! When I am not reading or working I enjoy motorcycling, gardening, gaming, writing and creating art in my journal.